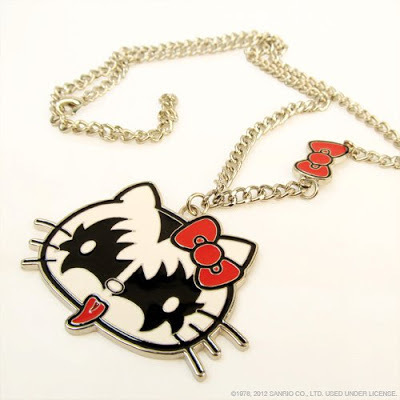 Pizza-Kei Cute: Hello Kitty is....Gene Simmons? if you want a complete set of the whole band, cute figurines are available! they seem like they're of nice quality. 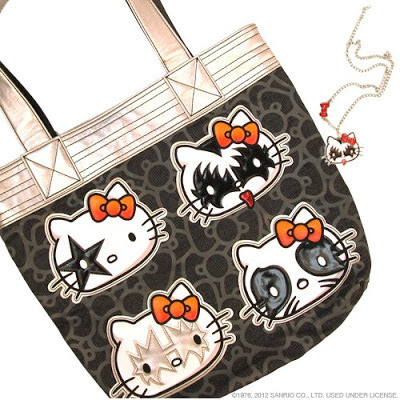 a tote with all the KISS head kitties sewn on. 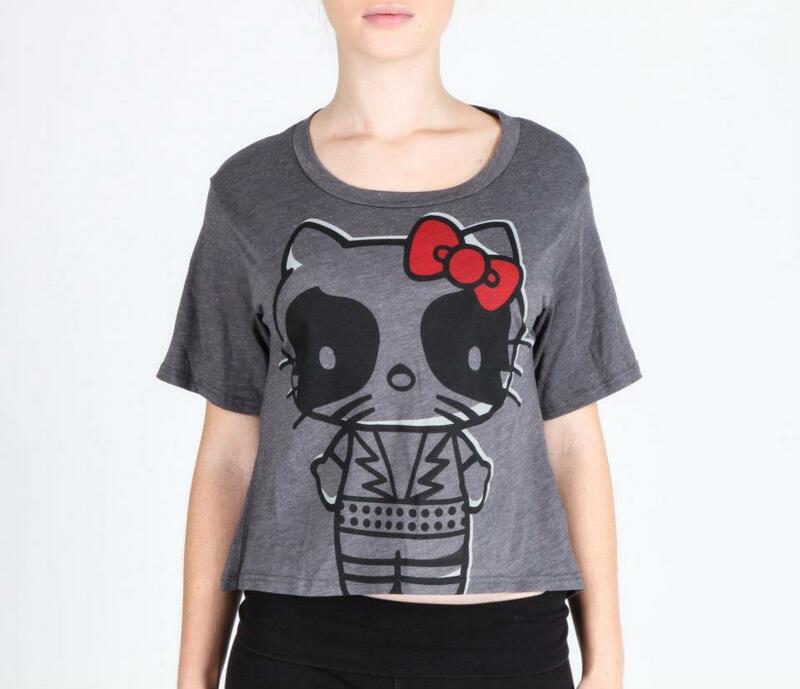 i like tops with an interesting cut-- it gives a fresh twist to an otherwise run-of-the-mill graphic tee. my personal favorite item is this sweet necklace. 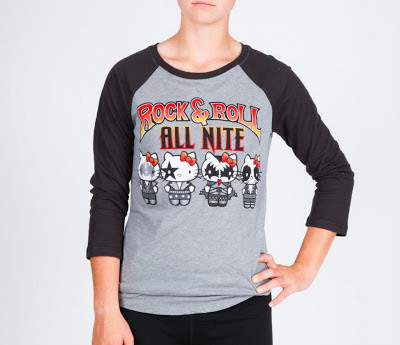 and a baseball shirt with the whole band on it! how do you feel about this collaboration? i usually feel that sanrio's mashups are well done. 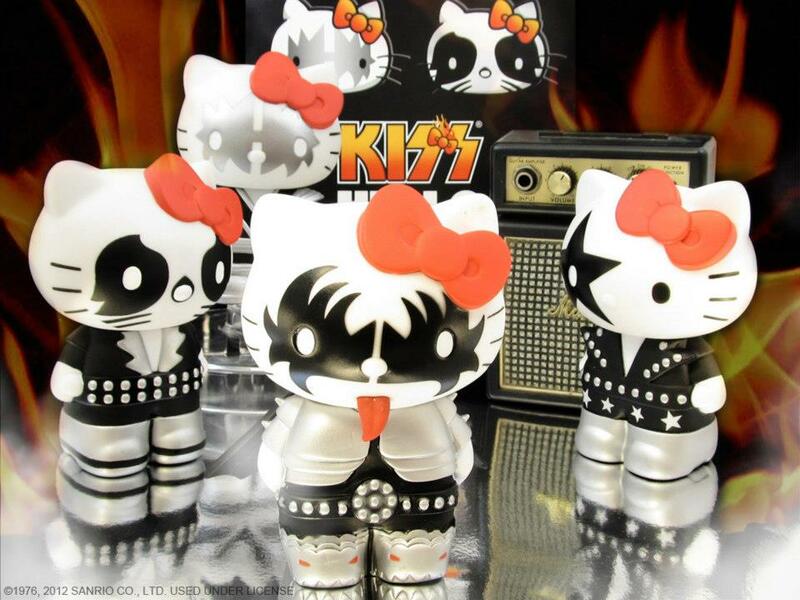 hello kitty especially makes a nice slate for KISS makeup. would you have liked to see other characters, as well? you can see the rest of the line on sanrio's website.